Hello everybody and happy new year. I hope everyone had a great fall and holiday season. This past fall I got married in Lake Geneva on the Saturday after Thanksgiving and we left for Hawaii shortly afterwards. After a wonderful two weeks on Maui and Kauai, we returned back to the mainland when it was -12 at O’Hare. Bone-chilling as it was and crazy as it may seem, it was good to see snow ahead of Christmas. Now that we are officially in the winter-season, I am deeply engaged in looking ahead to the 2017 season; thinking about some exciting changes in the gear, other interesting upgrades and fishing strategies, and finishing up this Newsletter, to update everyone on the season just ended as well as the upcoming season which will soon be here. The 2016 Season was odd. That’s not say it wasn’t good. As it certainly offered several take-aways in terms of quality and hints to a healthier lake. To start with in March and April, we were unable to effectively fish in shallow for brown and lake trout as hard north winds stirred up the shallow water so much that our tactics were useless; essentially the fish were probably not able to see our lures in the cloudy water. We switched gears then and began fishing further offshore, exclusively for lake trout over the rest of late March and throughout most of April, in the same locations we had done so in the late summer and fall of 2015. 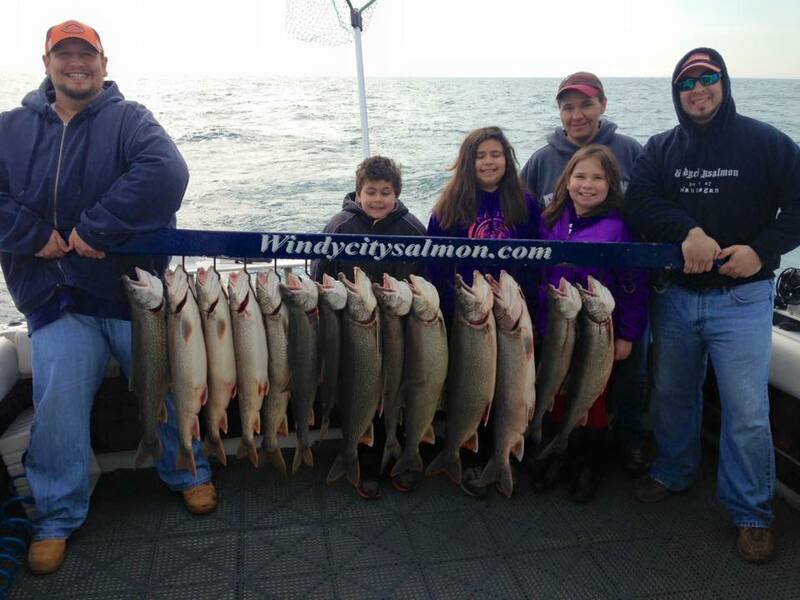 This is something we have never done before in early spring; fish a pure lake trout program offshore. But the catching was good and the hauls were heavy. Then, much like the season before, we were having a hard time finding schools of coho over a period of time when they should have arrived. No port on the lake had them after good catches had been reported in Indiana in early March. 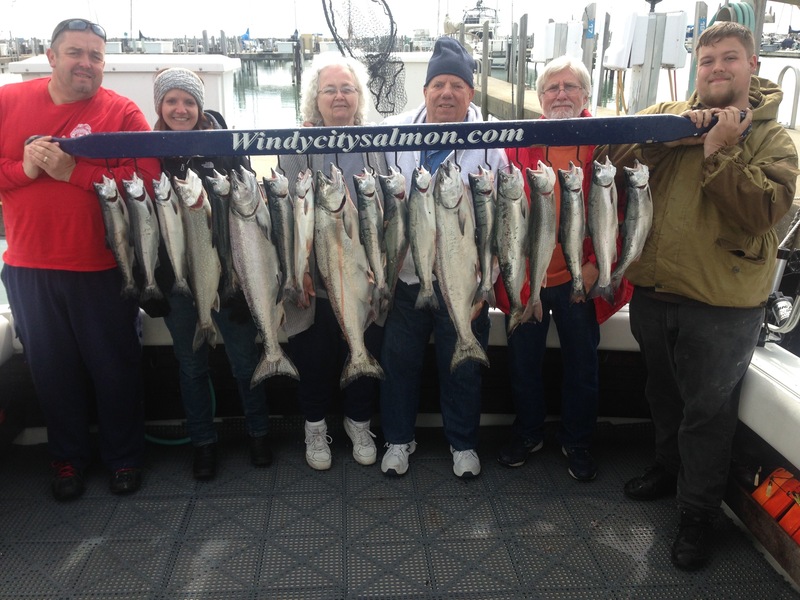 Until finally, after a couple of unusual rumors were heard from the next port north, two captains – I was one of them – set a course for 18 miles off Waukegan on Mother’s Day, May 8, and returned with the first limits of coho for the 2016 season out of Waukegan. 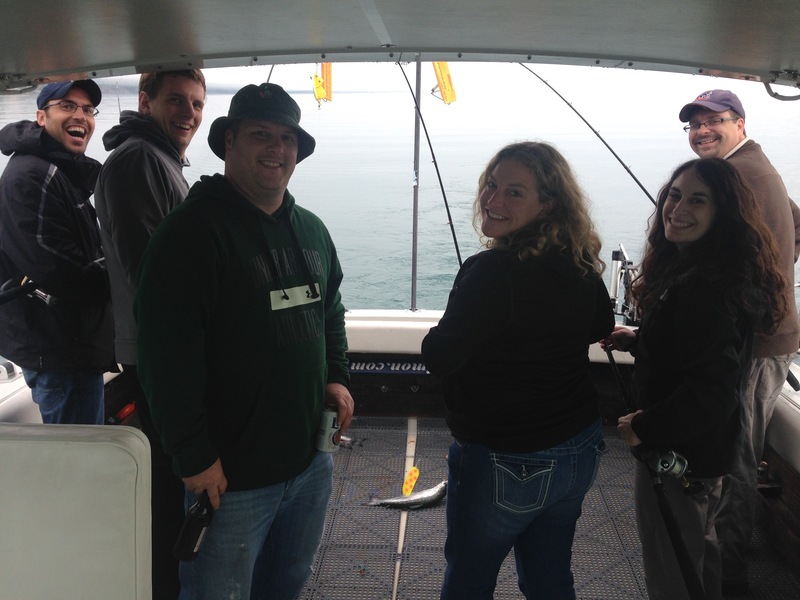 And the coho barely relinquished their far offshore position over the month of May, forcing us to take long runs offshore for any kind of good catch of coho. As with our offshore lake trout fishery in April being a first for us, the coho too, introduced a very rare set of circumstances and parameters which we needed to fish by in order to be successful. Moving to the summer season, our catch of king salmon continued to improve from depressed levels over the past several seasons. But what was different and very welcome, were big schools of steelhead that remained in nearby waters for a far longer period of time than average. 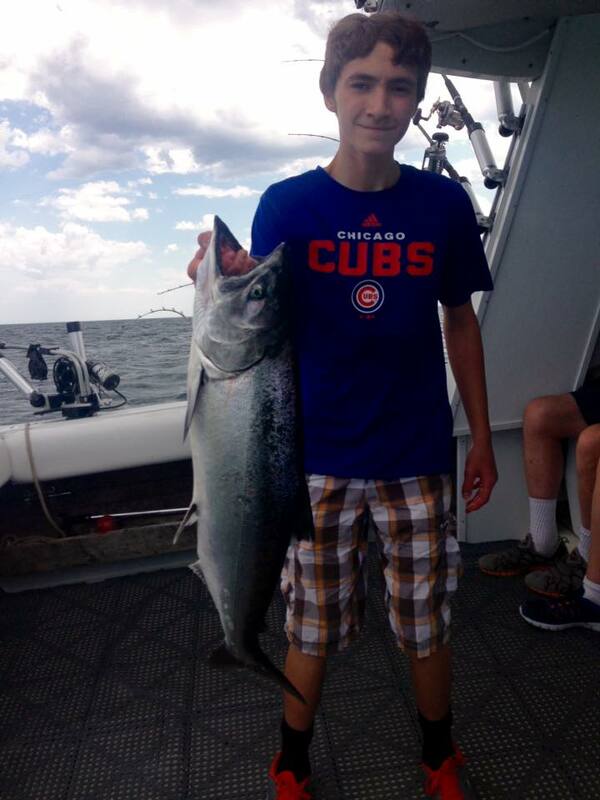 Combine that with an improved king-catch as well as additional coho throughout summer, is what handed us one of our best summer seasons in years. Then in September, as the steelhead and coho moved on, we returned to a mostly lake trout fishery once again until it was time to wrap things up. All oddities aside, we will certainly welcome big hauls of offshore lake trout again in April but will not be surprised if we are back to shallow water brown trout as that fishery sat fallow last season. What else could we see in 2017? Maybe an earlier arrival of coho this season? Additionally, based on pure extrapolation of a better catch of kings in 2016, I suspect we will see further, incremental improvement for kings again for the summer season. I also suspect we could see elevated catches of steelhead again this summer, like we did last summer. I’m really excited for the 2017 Season to start, my 10th season as a captain. I remind myself every season, much the way I focused on the first season, that the product is the most important. With a good product, everything else takes care of itself. And the product isn’t just how many fish are in the box at the end of each trip. While that is very important, it’s a high level of as personalized service as possible, a clean and safe vessel to fish from, interesting and insightful conversation on the water, and high-quality, dependable gear in which to haul in the fish. I hope you see these themes as my focus every season. I never intended or want to be, just another charter service. becoming more available. September and October is primarily back to offshore lake trout. Much more detail is on the website windycitysalmon.com. I will be in touch again, probably around late February or early March as Season 10 approaches.